Our Fish Cremation Pendant is made of .925 sterling silver and is designed to hold a small portion of cremation ashes. Other keepsake options include a lock of hair, dried and crushed ceremonial flowers, or burial soil. 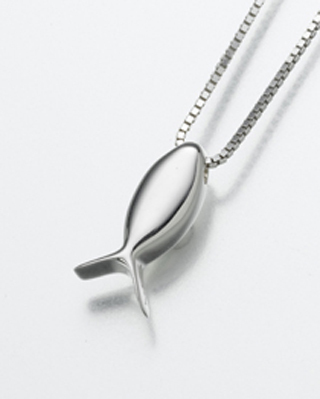 The Fish (Ichthus) Cremation Pendant represents a symbol of the Christian faith. Additional christian cremation pendants available.